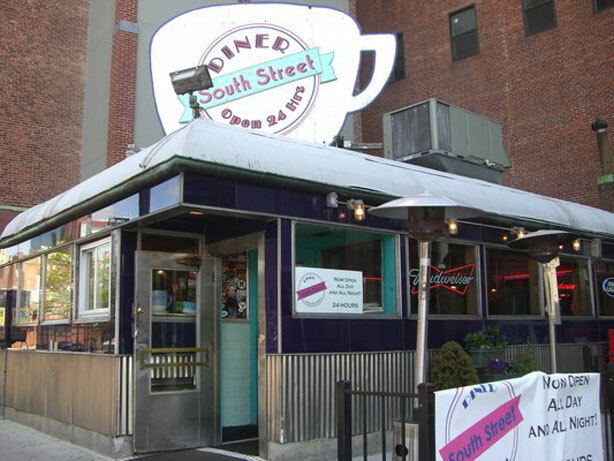 Congrats to South Street Diner for making it into Esquire's September issue. Mine has been laying around the apartment for at least two weeks now before I finally took advantage of Monday off to read it. They made Esquire's list of spots for the "Best Late Night Food in America." I usually end up in Chinatown for late night eats, but since it's right there on Kneeland, methinks it's worth a shot sometime. Where do you get your late night grub? Click (here) for the Esquire article. 0 Response to "South Street Diner in Esquire's Sept Issue"